← Maple Water: The new coconut water? 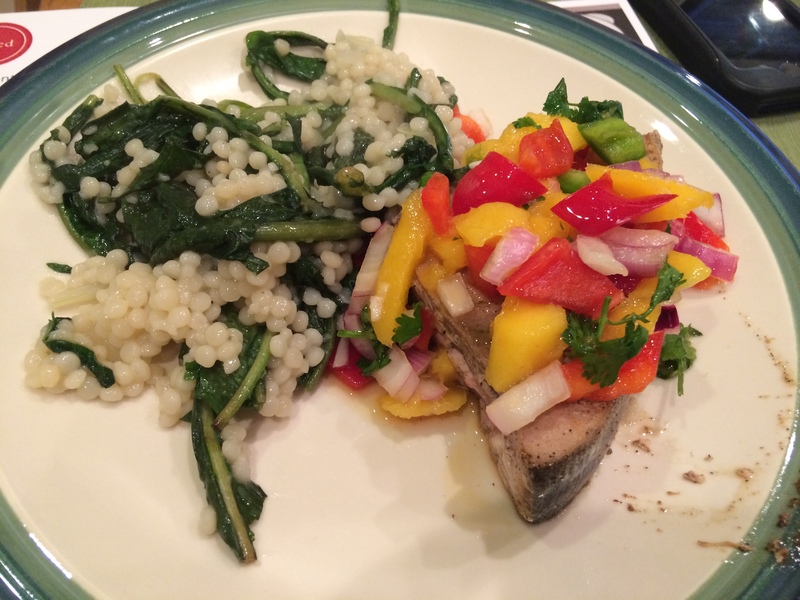 Blue Apron Vs Plated: What’s for Dinner? This past week I had the opportunity to try, not one, but two (! ), well-known food delivery services, Plated and Blue Apron. My parents have done Plated a few times and a good friend of mine has been raving about Blue Apron. And, when I heard that I would get delicious ingredients and easy recipes, based upon my preferences, delivered right to my doorstep, it didn’t take me long to sign up for their trial week. This new concept takes grocery delivery and combines it with pre-portioned, ready to cook meals! Who hasn’t come home from a long day of work and wished the menu was already planned for the night? We’ve all been there…okay okay except for maybe me since my boyfriend does the cooking and we plan all of our meals for the week but still…you get the point. It’s nice to have healthy meals planned and pre-portioned for you. My meals arrived Saturday afternoon in a neatly packaged cardboard box lined with ice packs to keep the contents cool for a few hours. Both packages (blue apron and plated) contained all of the ingredients needed to cook each meal, feeding 2 people, complete with recipes and photos. Literally, EVERYTHING is included from the major poultry and fish items all the way down to the lemon, butter, and fresh herbs, such as mint and basil. The only things not included were olive oil, and salt and pepper. Blue Apron even included little bags for each of the meals, called “knick-knacks,” which included items like butter and cheese for their beet pasta dish. This added bit of organization went a long way as I tend to lose things in my refrigerator. We started with one of our Plated meals first, which consisted of Swordish with Spicy Mango Salsa and Israeli Couscous. The meals for both services range between 500-750 calories ( a little high for me), but use healthy ingredients for the most part. What I really loved was that with Plated you can choose between vegetarian or omnivore dinners. By selecting land, sea, or veggie, you will presented with a variety of options to choose from each week. The menu is released a few weeks prior to delivery so if don’t like it, you can opt out a week! Unfortunately with Blue Apron, you don’t have much of a choice for what you get for the week you select, so we got stuck with beet pasta, which we don’t really eat. Plus, I would say, with Blue Apron, it’s not as healthy as Plated. So our first attempt was the Swordfish. While the recipe card came with step by step photo instructions, the list was quite cumbersome and overwhelming. On the website, it said this meal was easy (they have different difficulty levels listed) and certainly it was easy to prepare but it took forever! I was under the impression that everything came prepared, which some of it did, but for the salsa, there was still a lot of peeling, rinsing, cutting, mincing, and chopping that had to be done, which took quite awhile to do. An hour and a half later and dinner was finally served! Unimpressed with the overall flavors, I don’t think this dish was worth an hour an a half of my time. The couscous were bland and honestly I felt like I didn’t get enough swordfish. I left hungry after this mediocre meal and I wish there had been more veggies. The only thing left to do was try Blue Apron! On the menu for the week was: Lemon Parsley Chicken thighs, Fresh Beet Pasta, and Maple and Ginger Glazed Salmon. We decided to try the Lemon Parsley Chicken Thighs first. I liked how a separate instruction sheet was sent describing all three meals. It told us that our chicken is done when the juices run clear and that thinly slicing the yellow squash and zucchini is the best way to serve them. This was super helpful in addition to the recipe care they provided us for all 3 meals. Similar to Plated, the recipe card came with step by step photos instructions, but once again there was plenty of peeling and mincing to be done. I couldn’t believe the amount of prep needed! However, this meal came out MUCH better than the Plated meal. This one was full of flavor, rich and delicious, and actually left me completely stuff afterwards. There was more than enough veggies, protein, and quinoa, and I finished the meal 100% satisfied, with plenty of leftovers too! After further consideration as an RD, I would even say this meal yielded enough for 3 or 4 people. Not only did this meal taste great but it looked great too! At the end of the day, I was very pleased with both options, but do wish they had some more health conscious and paleo friendly options. Emphasis on local and seasonal food. Reoccuring payments if you are not careful to skip a delivery or opt out of the service-you would automatically be shipped another week by default. At the end of the day you are paying for convenience. And while I absolutely loved trying new foods and recipes and getting to experiment a little, I won’t be using this weekly meal service. Both services impressed me with their organization and their ability to make my in-home dining experience feel a little bit more luxurious. I applaud them for their creative menus and who knows maybe I will periodically order from them! I just don’t have an hour and a half to spend during the week for non-paleo meals! Tell me: Have you tried Blue Apron or Plated? What did you think? Do you prefer one over the other? yay!! love this, I do agree blue apron portion sizes were too big for 2 people. Beet pasta? please ship it over to me 🙂 haha plated looks great I haven’t tried it out yet but glad menu is flexible! Great Job on ur first blog. Keep writing and I’ll keep reading. We started using blue apron because we were stuck in a food rut and it pushes us to try new things. Additionally, I felt like I didn’t have time to go through new recipes and figure out what to cook and what to buy for the week. (Mind you I do this for the other 3-4 days of the week, but for some reason that doesn’t feel as overwhelming to me as all 7.) What I like about it is that we can skip weeks and alternate between vegetarian (simply add chicken) and omnivore menus if nothing sounds appealing. In terms of portion, there is enough food to feed two adults and a toddler… and most of the time have a leftover lunch portion for one of us. AND I like having control over what ingredients to omit or to add. There is a lot of prep, but this is actually fun for us… I put my two year old up on the counter and he “helps cook” and eats a lot of the raw veggies that he won’t eat cooked – so it works for us. Lastly, even though this is more expensive than just grocery shopping… it is more convenient and it is cheaper and healthier than eating out or delivery, which we had started to have too regularly. My husband and I are HUGE Blue Apron fans. I love that they offer options for food allergies (shellfish). I am also a big fan of them just picking the meal and sending it to us. Reason being, I’m the pickiest eater I know. I won’t go out of my way to eat a vegetable. With Blue Apron sending predetermined meal, it meant I had to be more open to eating new foods. Knowing that I had to pay for that squash meant I had to be willing to try it and not just say “oh gross. I’m not touching that!” I wouldn’t ordinarily buy some of the food, mainly because I had never heard of it. I’m learning to cook and eat food I have no knowledge about. There have been a few squashed buns and blown out tomatoes in delivery, but Blue Apron has always accommodated us, whether a refund or a free week. From time to time, we are left unimpressed with a meal here or there, but I would say I am 95% satisfied with the recipes. I haven’t even been able to bring my self to order from Plated because I find it too “busy”. All of the options they offer and I have to admit, the recipes just don’t seem to be as appealing. As the blogger mentioned, the portions are very satisfying. We have been receiving weekly shipments since May of this year and the one time our order was damaged in shipment by FedEx, I was so bent out of shape because the monotony of “what to make for dinner” and meal planning task kicked my anxiety into high gear. My husband and I both work full time jobs, he’s also a student and we have 2 children living at home still. Less time in the grocery store and more time spent together cooking in the kitchen while listening to our favorite XM Radio station has become our latest tradition. I’d give up cable TV before I gave up my Blue Apron subscription. I’m not sure if this is a recent development, but Blue Apron does offer vegetarian meals. You can deselect and meat options that you don’t want (beef, fish, poultry, pork, lamb or shellfish), or just select vegetarian only. By stating: “What I really loved was that with Plated you can choose between vegetarian or omnivore dinners”, you make it seem as though Blue Apron does not offer vegetarian options. Thanks for the comment Eric! 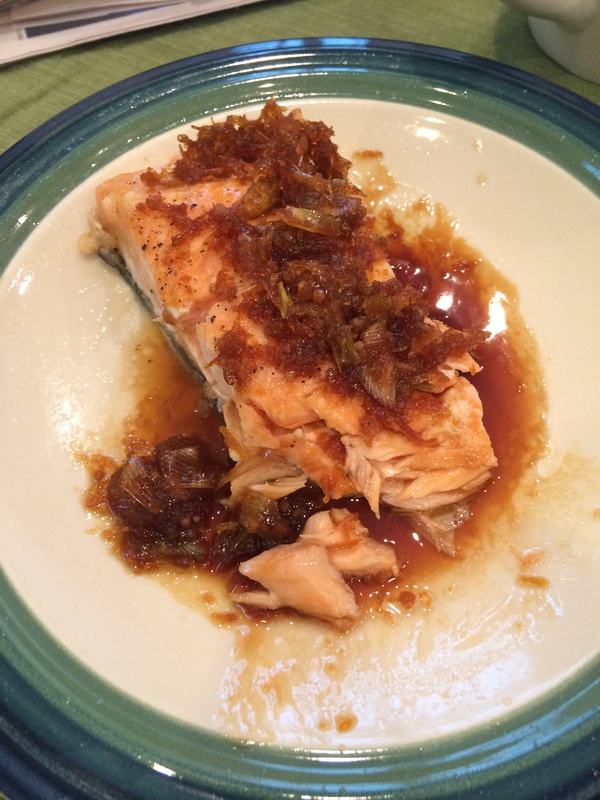 This post is a few months old and at the time I was not given the choice to choose from Blue Apron..
Great review and comparison! I’m a new cook and definitely struggle to not only decide what I’m going to attempt to make, but I actually have to cross my fingers and hope it comes out edible. I’ve been debating getting one of these two grocery services as I not only commute 2.5 hrs a day but me and my boyfriend also both work full time; no one’s got time to grocery shop. I also wish one of these services offered a paleo option! My only concern with any recipe I try and follow is the addition of sugar or maple syrup into ingredients. We don’t even have sugar in the house and hate adding it to meals. 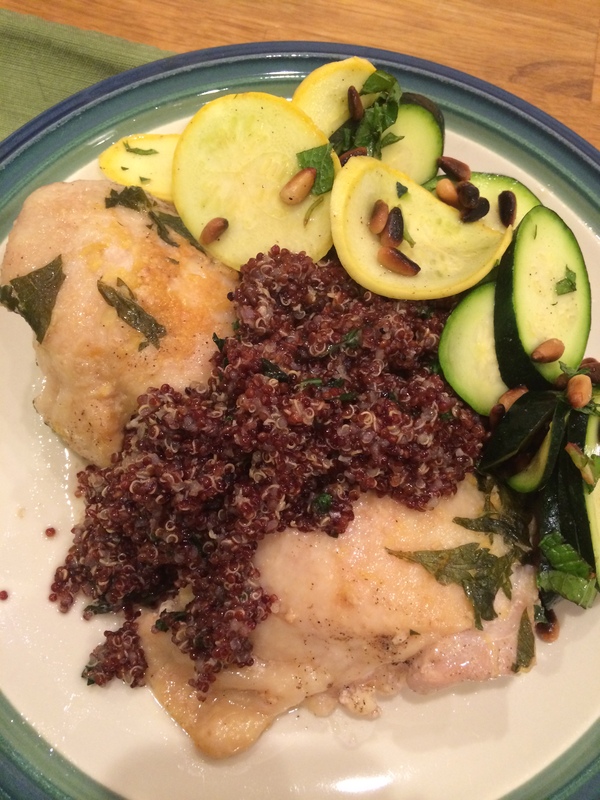 Did you experience any VERY non-paleo items in your meals? Ok, I just pulled the trigger and signed up for Blue Apron based on your review. I definitely love that they have step by step instructions not only on a recipe card but also in video form for each dish! Thank you so much for your blog post, I’m super excited to try this out!